Chip evacuation is extremely vital for machining long and deep slots with effectiveness and efficiency. The CoroMill® 331 is especially effective for this purpose. It is adjustable to narrow tolerance and provides positive inserts for great surface finish and light cutting. 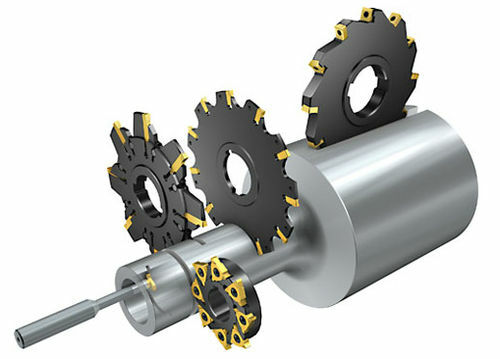 A milling cutter which has many teeth is unmatchable for both, narrow as well as shallow slots. The CoroMill 327 and 328 are best for the most widely required slots and shapes. Long reach is required by the slots, which could be up to 3-5 times the diameter. the CoroMill 390 tools have integrated dampening and were created keeping this in mind. They also provide better metal removal rate and also better surface finish.